The addition of iridium, an ultra-hard precious metal (8 times harder than platinum) with a melting point of 2400°C on the electrodes increases the accuracy and efficiency of sparks for a better combustion and a timing of a high accuracy. Version B (p/n DPR7-EIX) for Rocket III all versions 2004-2017 (quantity = 6). Version E (p/n CR9EIA-9) for Street Triple 765 (all versions 2017+). Remember to order the correct quantity for your bike. Engine preparation kit "Stage 1" for Triumph Twins 790/865cc, two versions available: carburetor or EFI. 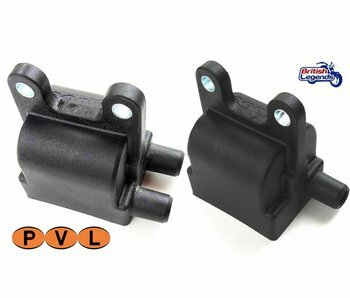 NGK HT leads, specially designed for the Triumph models below - this is not a generic product! 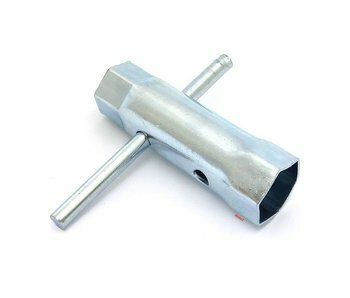 Spark plug wrench specially designed for all Triumph Twins since 2001, as access to the plugs is very restricted.